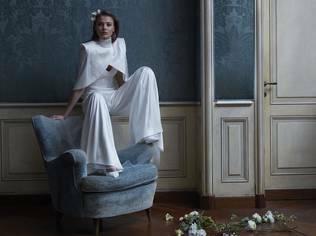 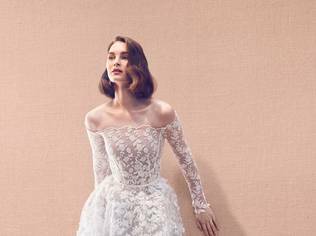 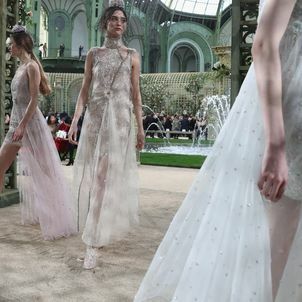 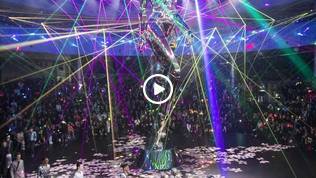 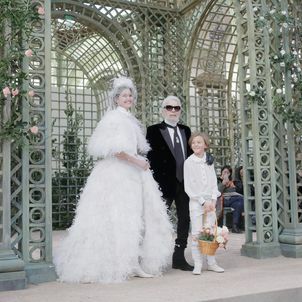 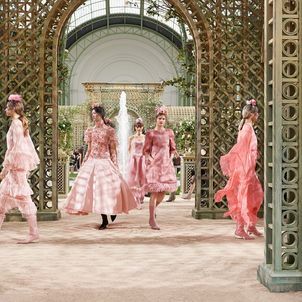 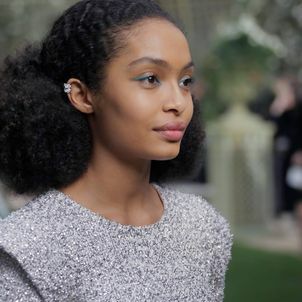 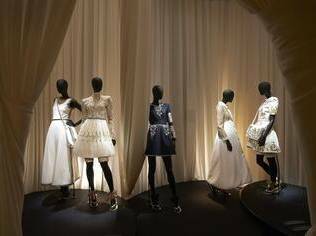 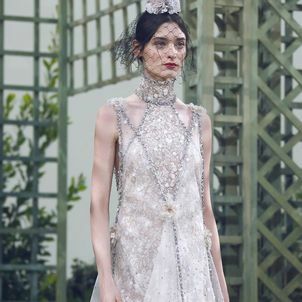 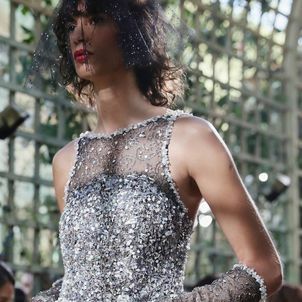 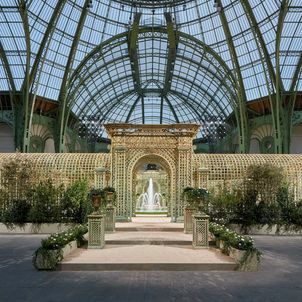 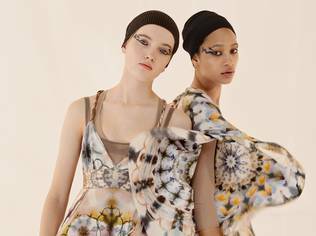 For Chanel's Spring-Summer 2018 haute couture collection, Karl Lagerfeld turned the Grand Palais into an indoor garden, complete with roses, sand and a fountain as its centerpiece. 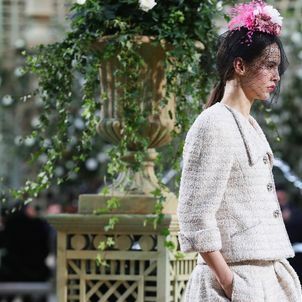 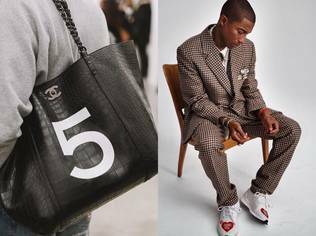 Both modern and retro, the collection featured lots of Chanel’s signature tweed suits, matched with pointed boots, as well as dresses embroidered and embellished with diamanté, feathers and beads. 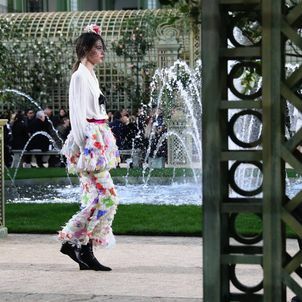 Looks were accessorized with veils adorned with flowers, in keeping with the show’s garden scenery.